An American research team recently reanalyzed a strange fossil the Works Progress Administration excavated in 1940 from the Triassic Otis Chalk in west Texas.1 This partial skull showed that the animal had a huge, thick dome on its head, much like pachycephalosaurs found in Cretaceous deposits. According to conventional consensus, 100 million years and a vicious extinction event separate the two fossil types. 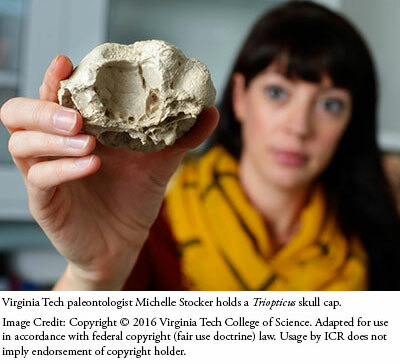 What role did an evolutionary perspective play in this team's conclusions about this supposedly out-of-place dome-headed fossil? The team cautioned that the two are "not identical." Some common-looking features could reflect mineral deposits on the skull long after it was buried. Also, Triopticus had peculiar holes in its skull near its eyes that it shares with a large group of crocodile-styled animals whose remains landed in typically Triassic sediments. Maybe Triopticus looked like some kind of dome-headed crocodilian. Nobody will know without more complete specimens. But Pachycephalosaurus, like Stegoceras found in Cretaceous strata, walked on two legs. Many of these recurring morphologies [shapes] are found in post-Triassic ornithodirans, such as sauropodomorphs, ornithomimosaurs, and spinosaurid dinosaurs, but especially within Ornithischia, including thyreophorans (e.g., Scutellosaurus, ankylosaurs) and, as we demonstrate here, between Triopticus and Cretaceous pachycephalosaurs. So, dozens of animals evolved the same shapes twice—both times from just a few "stem" reptiles. What are the odds of that? Other authors had also suggested that certain species evolved more than once, including crinoids and certain fish. All these speculations ignore the Genesis Flood. If all these sedimentary rock layers represent Flood deposits, then millions of years did not separate them. Instead, perhaps mere months or just hours elapsed between each deposit. 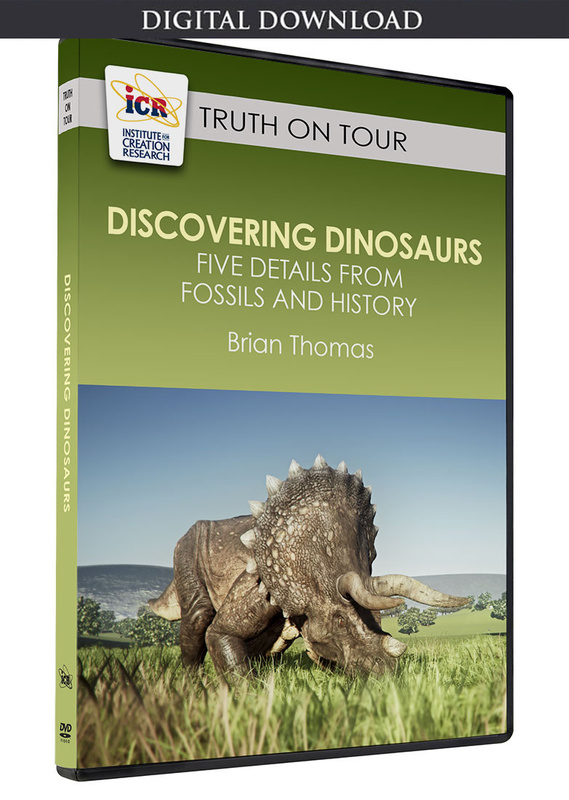 The deposits could represent different environments or elevations, not time periods. The Flood scenario also solves the mystery of why fossils occur at all, since normal, low-energy river processes don't make fossils today, but abnormally-high-energy Flood processes could have. It also erases the need to imagine the same animal forms evolving multiple times. God could have created different creatures with very similar outward appearances, like marsupial moles versus traditional moles, bandicoots versus rats, or possibly ceratopsians versus rhinoceroses. So those who speculate that certain animal forms re-evolved didn't necessarily get that idea from the fossils or the rocks. 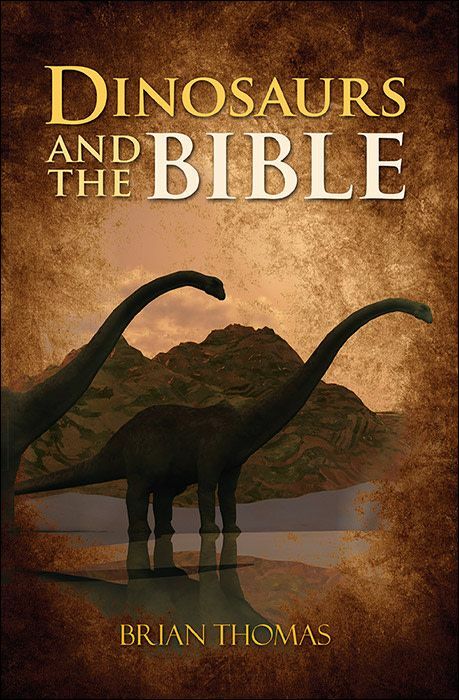 They got that idea from assuming evolution and its required millions of years. Unusual new species of extinct reptile shows dinosaurs copied body, skull shapes of distant relatives. Virginia Tech News. Posted on vtnews.vt.edu September 22, 2016. Stocker, M. R., et al. 2016. A Dome-Headed Stem Archosaur Exemplifies Convergence among Dinosaurs and Their Distant Relatives. Current Biology. 26: 1-7. Article posted on October 6, 2016.